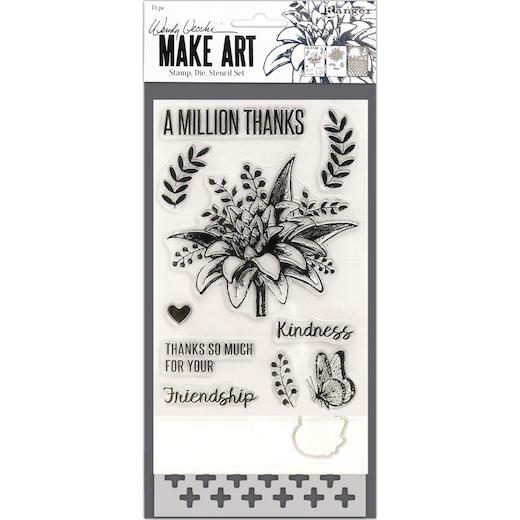 Wendy Vecchi MAKE ART Stamp, Die, Stencil Sets provide everything you need to create handmade cards, gift tags, and more! 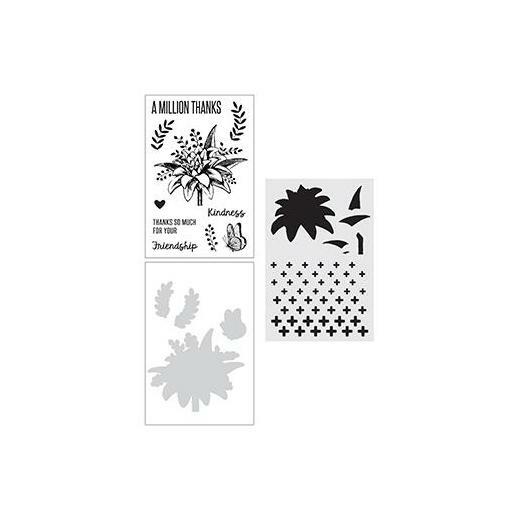 Wendy Vecchi MAKE ART Clear Stamps are the perfect focal point for any paper crafting or cardmaking project. Add layers and dimension to paper crafts with the coordinating dies, and create layered effects, backgrounds, textures, and patterns with stencils. Use with Wendy Vecchi MAKE ART Blendable Dye Inks, Embossing Powders, Archival Inks, and more for endless creative possibilities.